I used to jump a wall to take a shortcut home from my (now) wife’s home. One night I missed the wall and caught my leg. 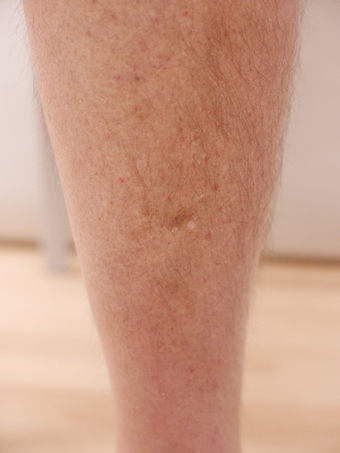 The scar left on my shin is always with me as a reminder of when we were in our early days of courting. We all have little marks or scars that we can tell a story about – they are all part of life’s great adventures! I don’t know why I chose this piece. Maybe it’s because I used to be a mechanical illustrator.